This boat is in GREAT condition. JUNE 2017 - The canvas top was just replaced and the center windshield eisenglass was also replaced on the boat The owner really took care of this vessel. Used her sparingly. This is evident in the low hours. Owner has ALL maintenance records. She starts up on command and purrs. Note: Hours are estimated at 160 as the vessel does not have an hour meter for the motor, it only has an hour meter for the generator. Come see if this one is for you!! Stock #051328 WELL MAINTAINED & LOW HOURS !! ~ GENERATOR INCLUDED! ~ SELLER HAS ALL SERVICE RECORDS!!! 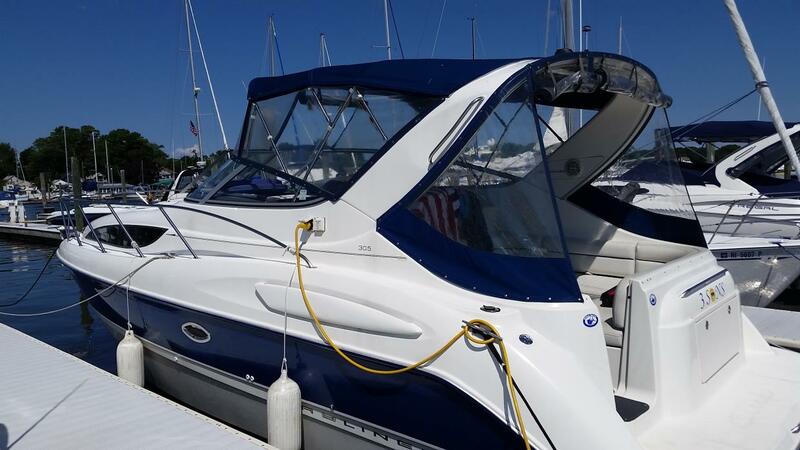 If you are in the market for an express cruiser, look no further than this 2007 Bayliner 305 Cruiser, just reduced to $64,995 (offers encouraged). 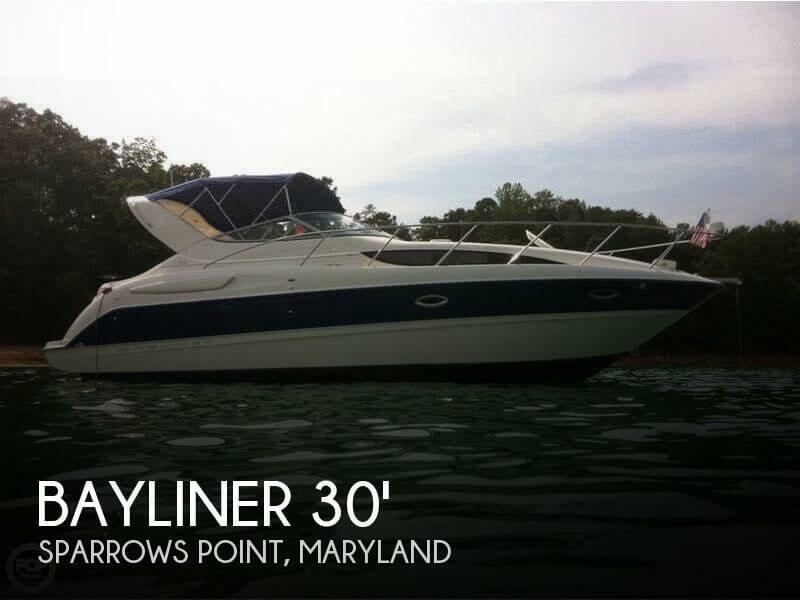 This boat is located in Sparrows Point, Maryland and is in great condition. She is also equipped with twin Mercruiser engines that have only 160 hours. 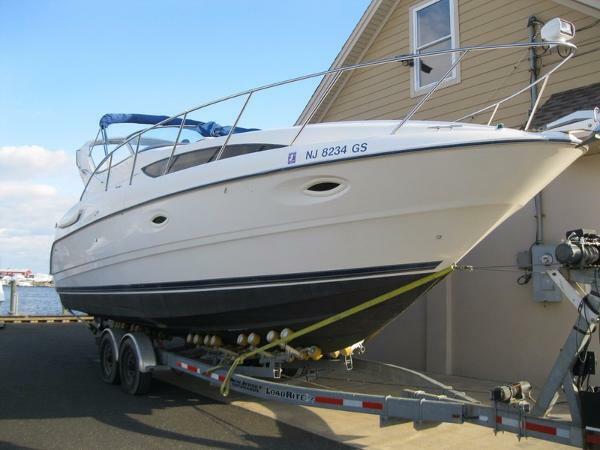 Reason for selling is not using..
2004 Bayliner 305 This family cruiser with the wide 11-foot beam has much to offer in comfort, versatility. Expansive midcabin interior boasts full 6'5" headroom, two double berths, fully equipped galley, roomy head compartment. Cockpit has removable table, fill-in sin pad. Walk-through windshield provides easy bow access. Long list of equipment includes Air Condition w/Heat, Cockpit Wet Bar, Tilt Wheel, Radar Arch, Trim Tabs, Transon Shower, GPS, VHF Radio, Depth Finder, Windlass, Stereo w/Player, Gas Stove, Refrigerator, Hot Water, Bimini Top, Microwave, Searchlight and MORE! 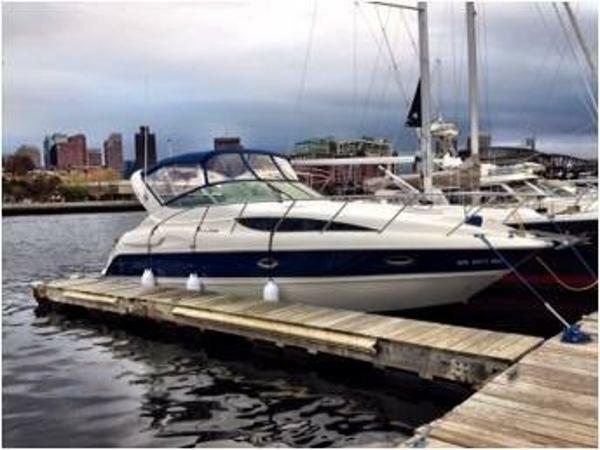 2007 Bayliner 305 SB Cruiser ********** B L O W O U T P R I C E ********** The affordably priced Bayliner 305 (called the 3055 Ciera Sunbridge from 1999–2002) is an entry-level family cruiser with several very attractive features. With a wide 11-foot beam, the 305 is a roomy boat both inside and, there is much to admire from the standpoint of comfort and practicality. Headroom—well over 6 feet—is excellent in this boat, and the generous beam results in a surprisingly expansive cabin layout. The midcabin floorplan is arranged in the conventional manner with double berths fore and aft, an enclosed head to port, adequate storage, and a well-equipped galley. In the cockpit, a U-shaped lounge features a removable table and converts to a sun pad. A wet bar/entertainment center is to port, and a transom door opens to the integral swim platform with its retractable swim ladder and built-in shower. A walk-through windshield provides access to the bow. 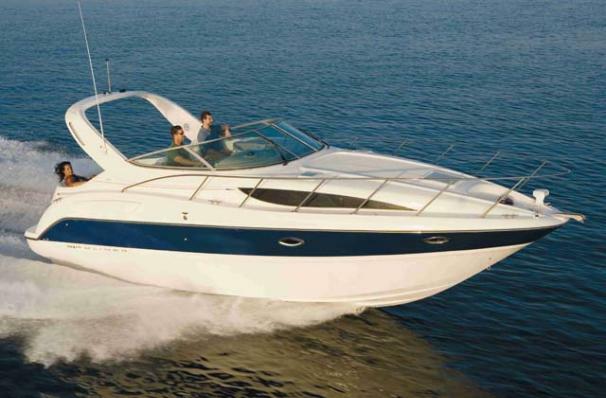 A pair of 220hp 5.0L MerCruisers sterndrives will cruise in the low 20s while topping out at about 30 knots. While she’s hardly been used (only about 275 hours) this yacht has been very well kept and cared for by the previous owner, and it shows! 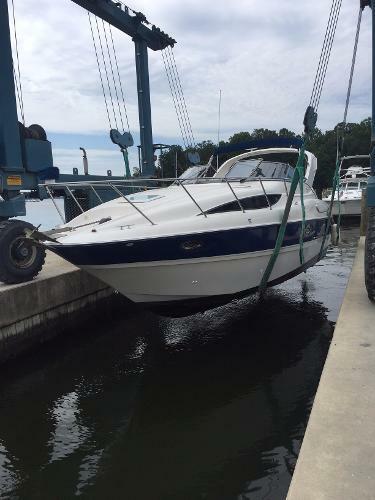 2004 Bayliner 305 CIERA, 2016 Maintenance: Engine Tune Up X2(Rotor, Cap, Wires, Belts, Spark Plugs.) 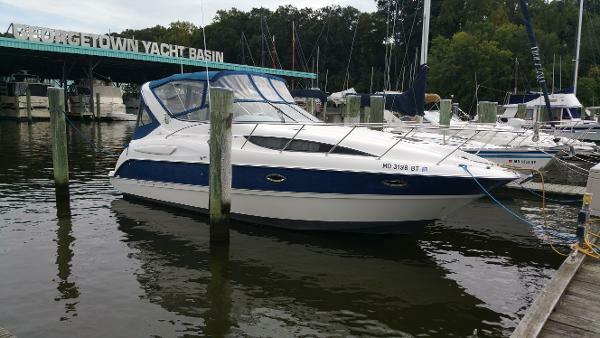 Fuel Filter X2, Water Pump X2, Oil Change X2, Outdrive Gear Lube Change X2, All Anodes, New Complete VC 17 Blue Bottom Paint, New Battery, New Aft Engine Compartment Bilge Pump, Bumpers, Docklines, Three Shorepower lines included. Trades considered. 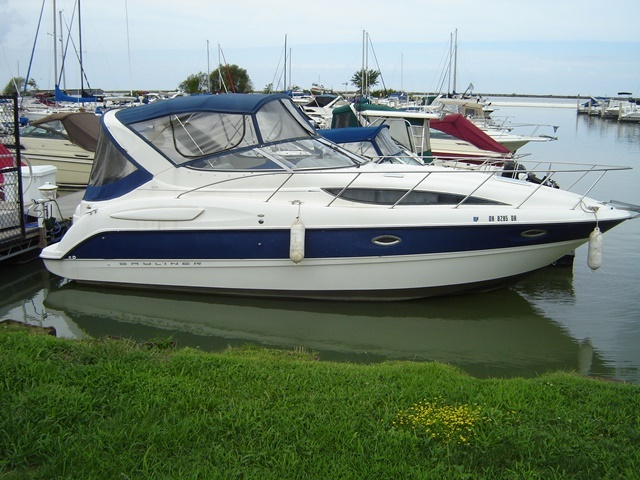 2005 Bayliner International 305, BROKERAGE BOAT. 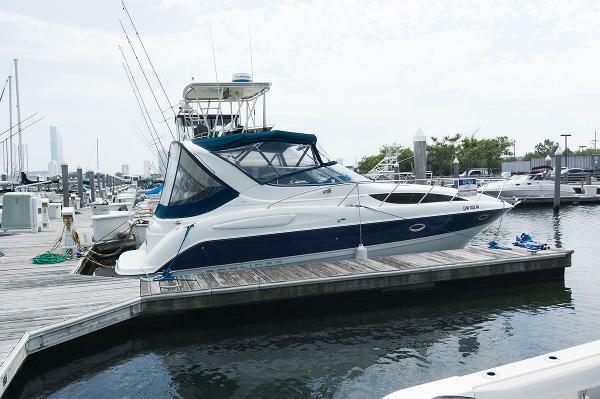 2005 Bayliner 305 Cruiser, powered by twin 5.7L/250HP Mercruiser engines, bravo 2 OUTDRIVES, Full dockside power package including stove, fridge, hot water heater, battery charger, air conditioning/heat, 5K Kohler generater, camper canvas, Lowrance HDS10 GPS/Chart plotter, Jensen CD stereo, transom shower, LED cockpit lights, LED underwater lights, and much more!TITLE STATUS: CLEAN. 2005 Bayliner 305 This 2005 Bayliner 3055 Is By Far One Of The Cleanest Boats For Under $50k You Will Ever FindSimply Stunning Inside & Out This Original Owner Boat Has Been Loved & It ShowsReally Strong With All Service Records & Maintained By The Same Mechanic Since New. MUST SEE THIS ONE! 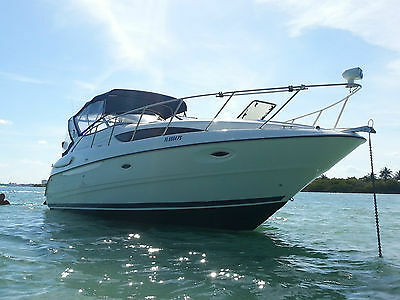 2007 Bayliner 305 2007 Bayliner 305. 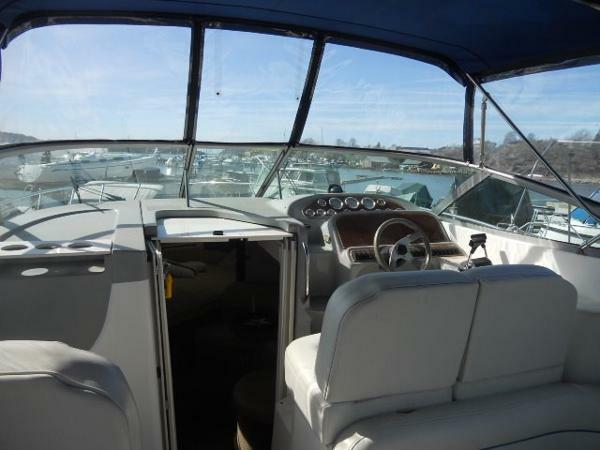 Imported in 2010, this boat is in like new condition and has less than 100 hours. Beautifully decorated in blue accents with all the interior woodwork in mint condition. Bimini top with canvas enclosure and screened cutout in the aft canvas provides ventilation for overnight camping excursions. Everything you need to enjoy a weekend on the water. 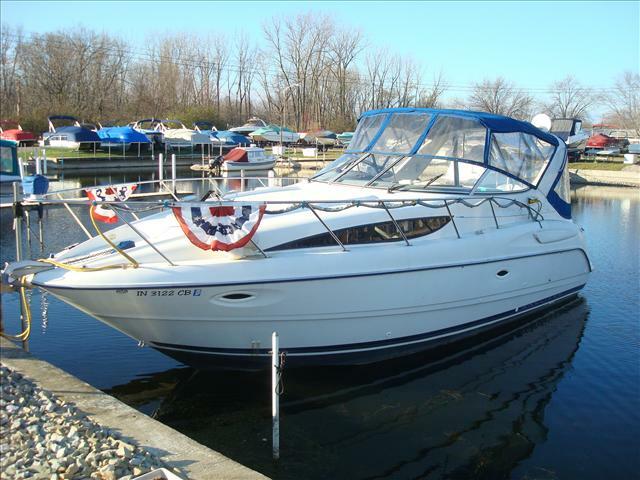 2005 Bayliner 305, Huge discount...price just lowered from $53,995!!!! twin Mercruiser 5.0l with larger bravo 2 drives, air conditioning, windlass, camper canvas, remote spotlight, snap in carpet, stern table, vhf marine radio, fireboy auto fire system, trim tabs, depth finder, tilt wheel, tv, stereo with remote at dash, full galley with: microwave, stove, and refrigerator and head with shower and marine toilet. always used on our fresh water inland lake. very low hours. Standard molded-in entertainment center in cockpit, with sink and dry storage lockers next to the large wraparound lounge seating area make entertaining easy while comfortable accommodating 6 adults. 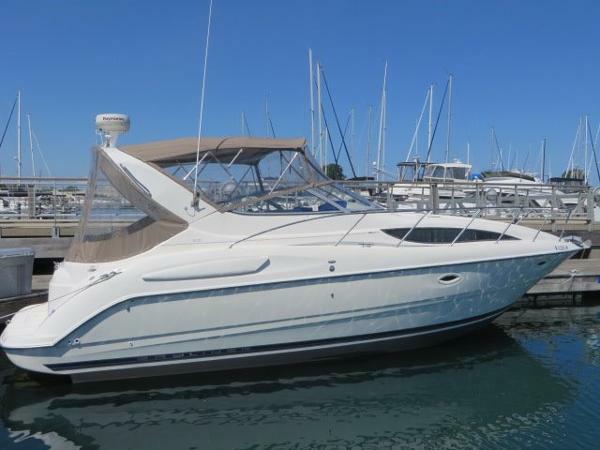 2007 Bayliner S305 Twin Merc 5.7, one owner, low hours, must see!